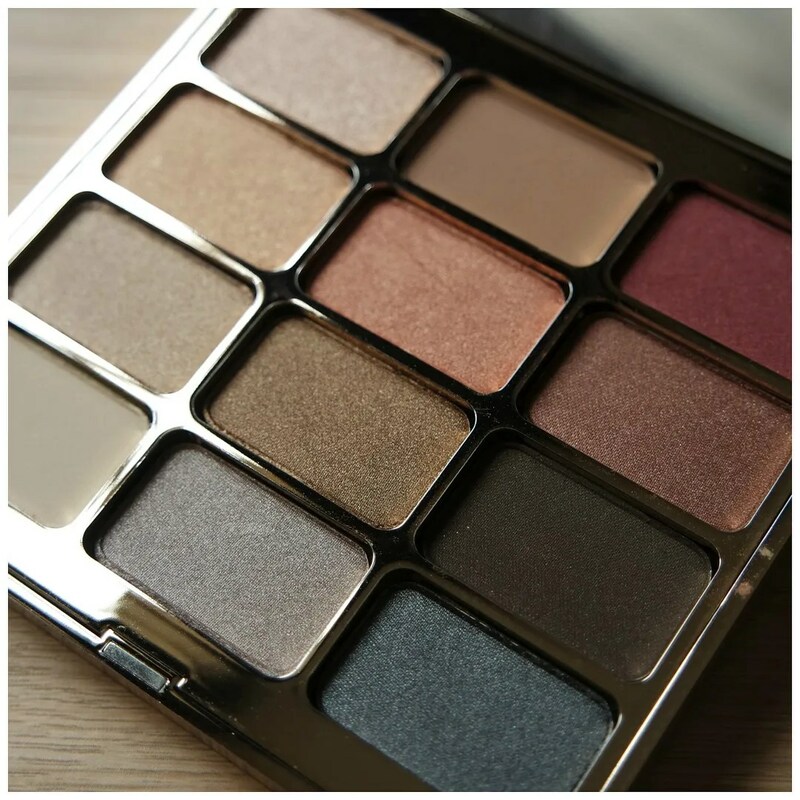 It has been a while since I reviewed an eye shadow palette for you. And today will be a review of a palette that does not get a lot of buzz on the Interwebs. To celebrate their 20th anniversary, Stila released 4 palettes with different themes to them: Eyes are the Window of the Soul, Body, Mind and Spirit. The most popular of the four seemed to be Eyes are the Window to the Mind, which is matte and received meh reviews. That’s why I think none of the other palettes received a lot of buzz either. I’m here to change that, because Stila’s Eyes are the Window of the Spirit eye shadow palette is simply too gorgeous not to. I bought this after seeing it in Ulta and Sephora when I was in the States last summer. I spotted it, thought it was gorgeous, but since I hadn’t heard much about it and I had never tried any Stila eyeshadows before, I was a bit unsure. I mean, at $49 for 12 eye shadows I at least want to make sure I’m buying something good right? 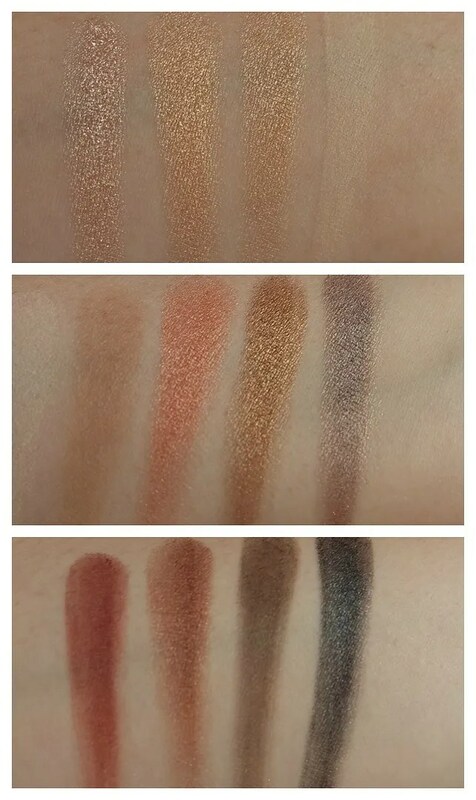 As I googled around trying to find reviews, I found very few and the ones I did find lacked great swatches or clear pictures. So earlier this year, I caved and purchased this palette from BeautyBay. I mean, what is not to love about this packaging? If you are a sucker for packaging like me, then the Eyes are the Window palettes are right up your street. 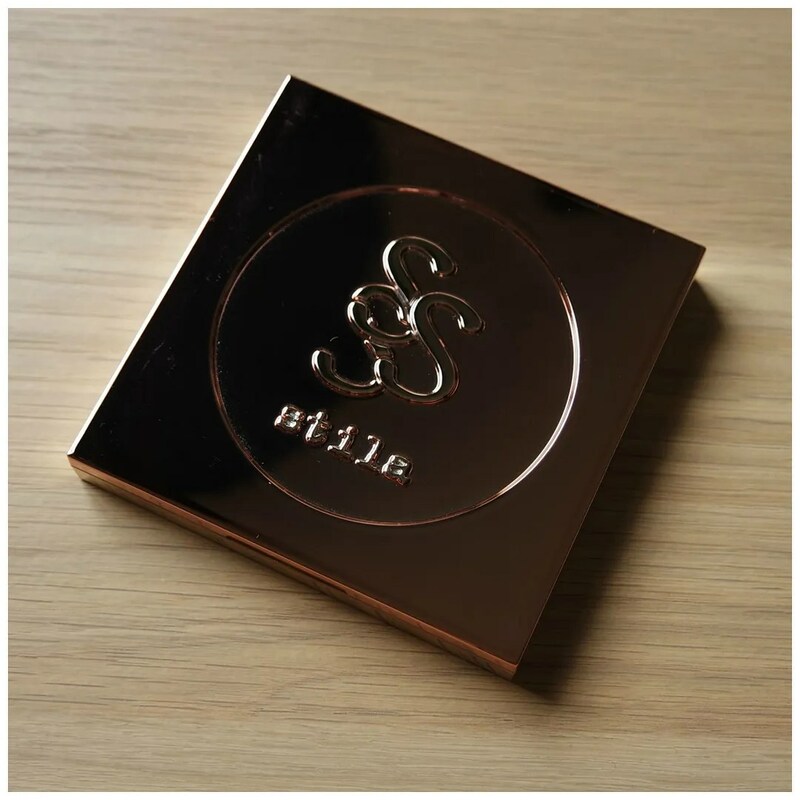 The cover is a reflective rose gold with the brand name and solo stenciled in the top. The palette is square and quite small. This palette fits easily in my hand. 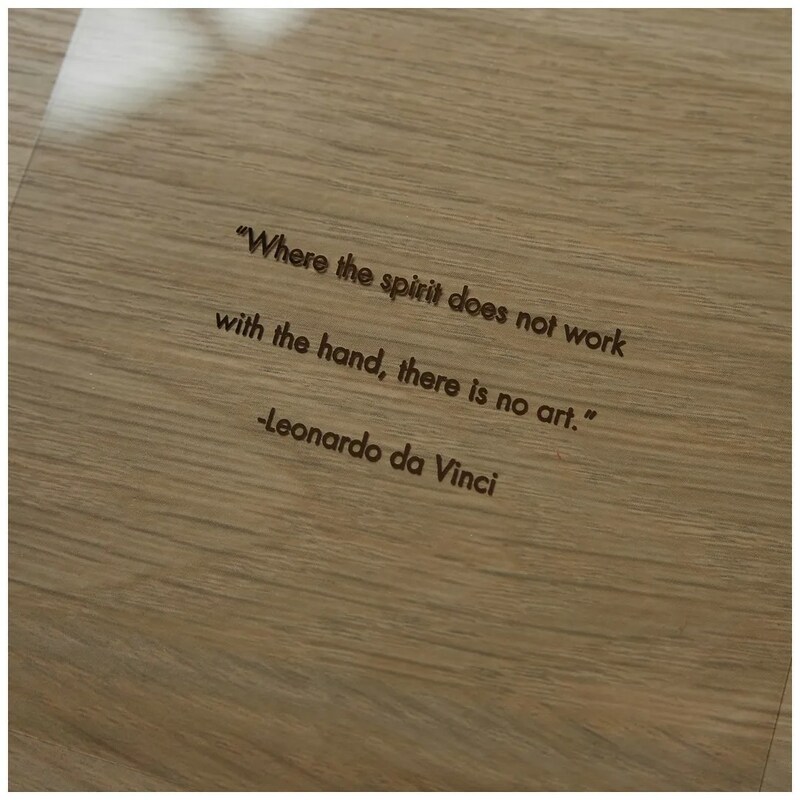 When you open it up, you are rewarded with a good sized mirror, a plastic overlay with a quote and 12 shadows. The Spirit palette is meant to contain 12 iconic Stila eye shadows, featuring of course the infamous Kitten. According to some, Kitten is the best shimmery highlight ever. And I was curious to try it. The general concept of these palettes is that they should highlight your inner beauty. True beauty is revealed from within is the tagline I read on most websites that sell this. The quote here definitely underlines that. I usually chuck away these plastic overlays after I review a palette, but for this one, I kept it. The reason why Spirit appealed to me most of the 4 palettes on offer is because it appeared to me to be the most versatile. It features both warm tones and cool tones and anything from a matte highlight to a deep dark brown. What’s missing from this palette is a black, but I personally prefer a dark brown over a black and I am a big fan of the cool toned greys in the bottom row. I also like how this palette is laid out. You can take it horizontal and pretty much have a trio laid out for you, or you can pick your colors vertically. In the vertical line you could easily divide the palette into 1 column of highlights, 1 column of transition and lid shades and 1 column of deeper crease and liner shades. I think that’s a clever lay out: for if you’re lazy on your early mornings like me, or are new to make up and have a hard time picking the right colors. You can of course mix and match whichever way you like, which is why I said this is versatile. Time for a closer look at each shade. I divided these in horizontal rows. The first row is an instant favorite of mine. Kitten is a stunning shimmery champagne with a pink reflect to it. Gorgeous in the inner corner. Puppy is one of the few mattes in this palette. It is also the best transition shade. 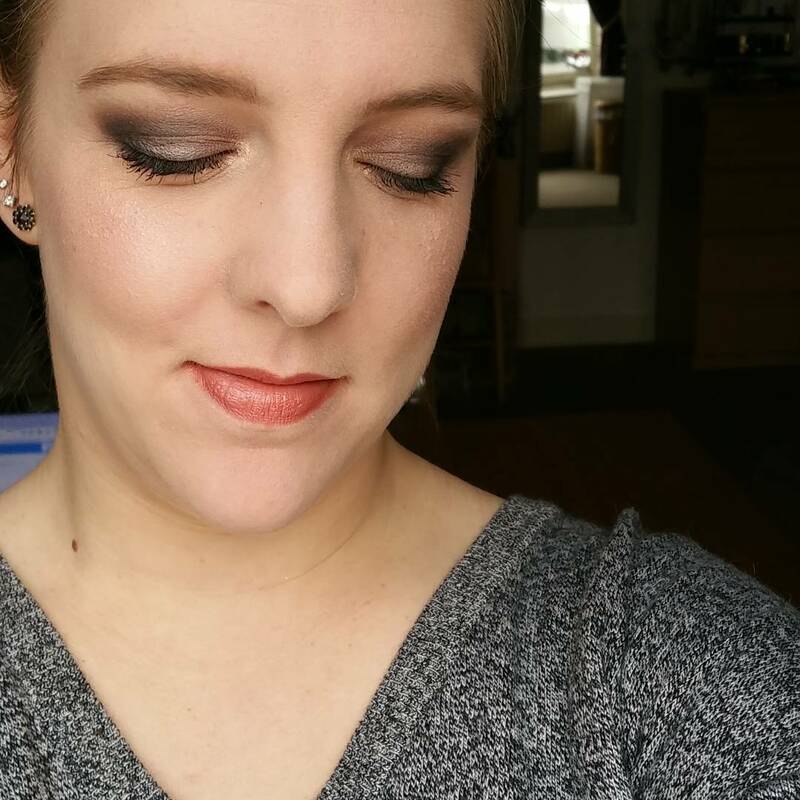 Pigale has to be one of my favorites of these shadows: this red toned satin finish burgundy has a brown undertone that works great for deepening up an eye look. 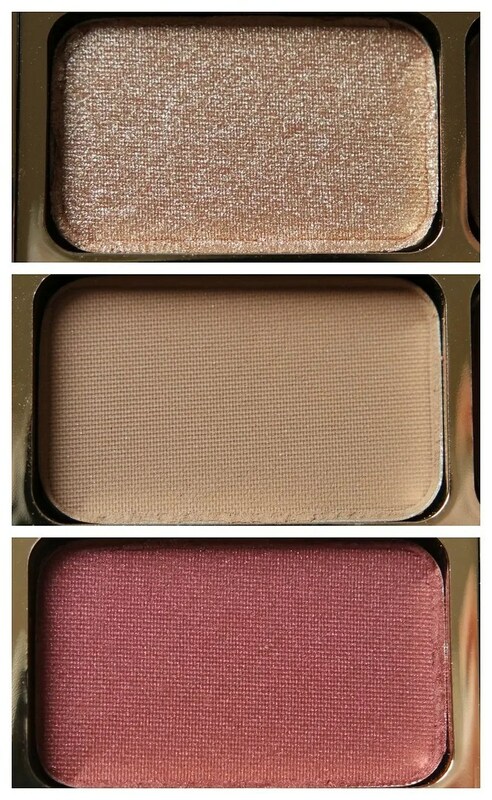 These three shades seem very similar at first glance, because of their rosy undertones, but when you swatch them or apply them to your eye, these look much more distinct. 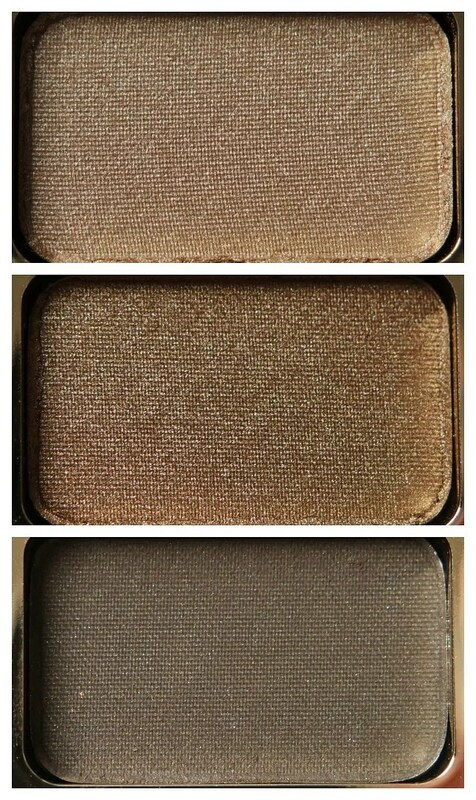 Oasis is your light golden shimmery highlight. Again great in the inner corner, but this also looks great all over the lid. It is much warmer than kitten and a little less intense on the shimmer. Jezebel is another favorite shade in this palette. It is a stunning rose shade with a golden shimmer. My favorite lid shade this palette has to offer. Barefoot is a good shimmery dark brown with a reddish undertone to it. Wheat is another one of these Stila shadows that a lot of people talk about. This is the perfect beige/ champagne highlight. It is more muted than Oasis and packs less shimmer than Kitten making it the perfect companion for Golightly. Golightly is a stunning golden bronze shade. 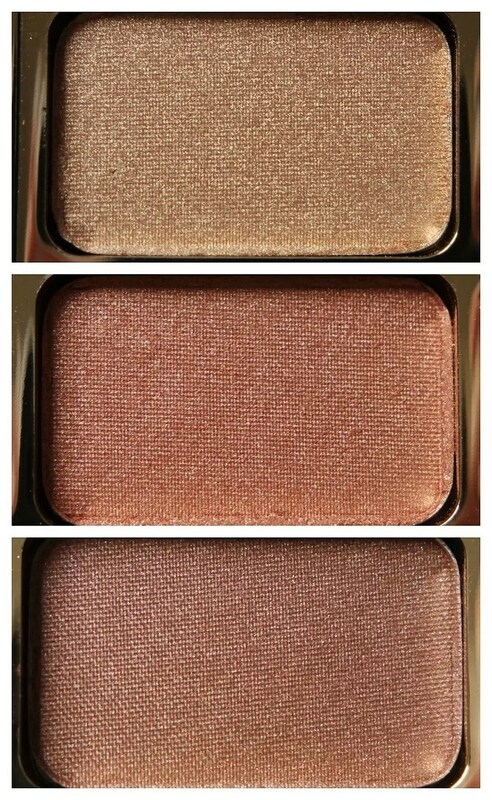 This is the type of bronze eye shadow I love year round. It truly makes the brown in my eyes pop. Espresso is a matte dark brown. It looks quite cool toned in the pan, but pulls more warm toned on my skin. This is my go to eye liner shade in this palette, as well the perfect shade for darkening and deepening up your overall make up look. Stila did not forget about putting a matte highlight in this palette as well. I love Chinois as a brown bone highlight, as I pretty much only use matte highlighters in that area. Another favorite in this palette is Slate. 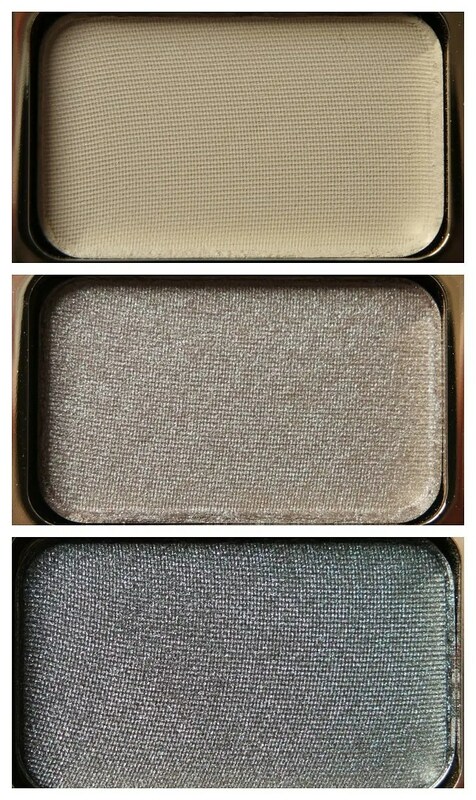 Slate is a shimmery mauve/ taupe which is one of my favorite all time eye shadow shades. Give me a mauvy taupe shadow and I’m a happy camper. Pewter is the last shadow and another favorite: a deep shimmery charcoal grey with a blue undertone to it. This color just screams smokey eyes. I swatched the shadows the other way round: vertically, to show you the palette in all its glory. As you can see pigmentation is great. These shadows are soft without being too powdery. They hardly kick up any powder and are buttery smooth, be it fragile. This is not the type of palette you want to drop or travel with. One downside to this palette is that the names of these shadows aren’t written anywhere near the shadows. Only on the back, which is why I kept part of the box so I have a guide handy when I plan out eye looks. 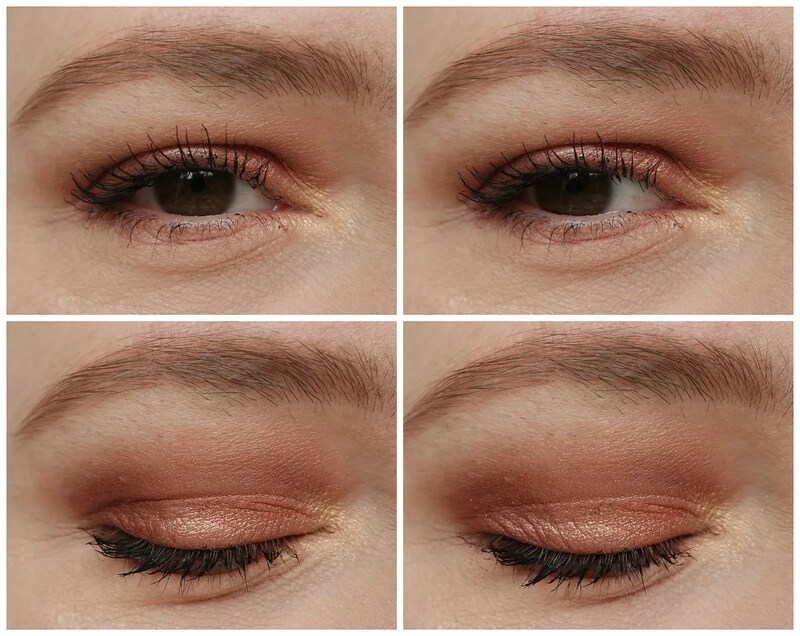 Speaking of eye looks, I did three eye looks with this palette to show you the versatility of the palette. If you are into matte shadows, then this palette may be a bit of a let down. For me however, the 4 shadows that are matte or semi-matte are some key shadows that I know I will get a lot of use out of. 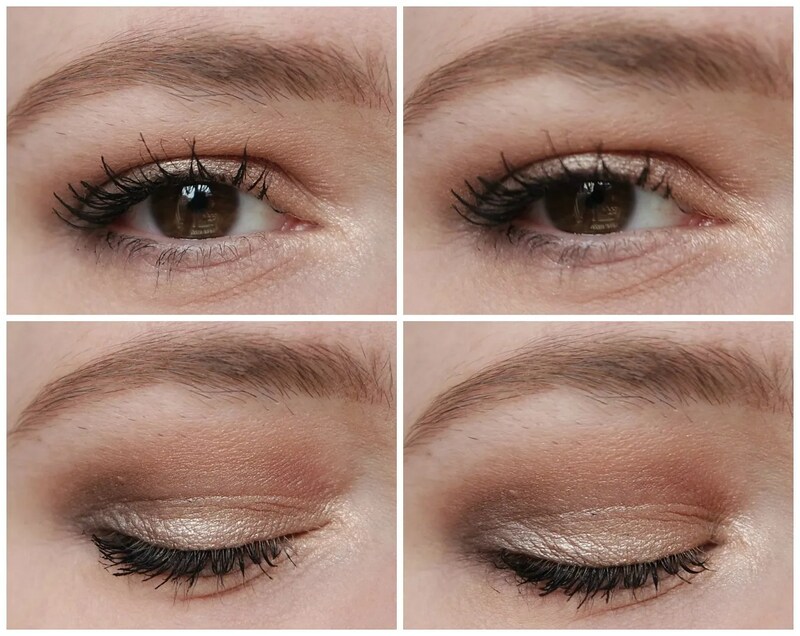 All other shadows are shimmery, but as you can see in the different eye looks, the amount of shimmer in these shadows varies. From intense, almost glitter, to a soft sheen: these shadows can do it all. 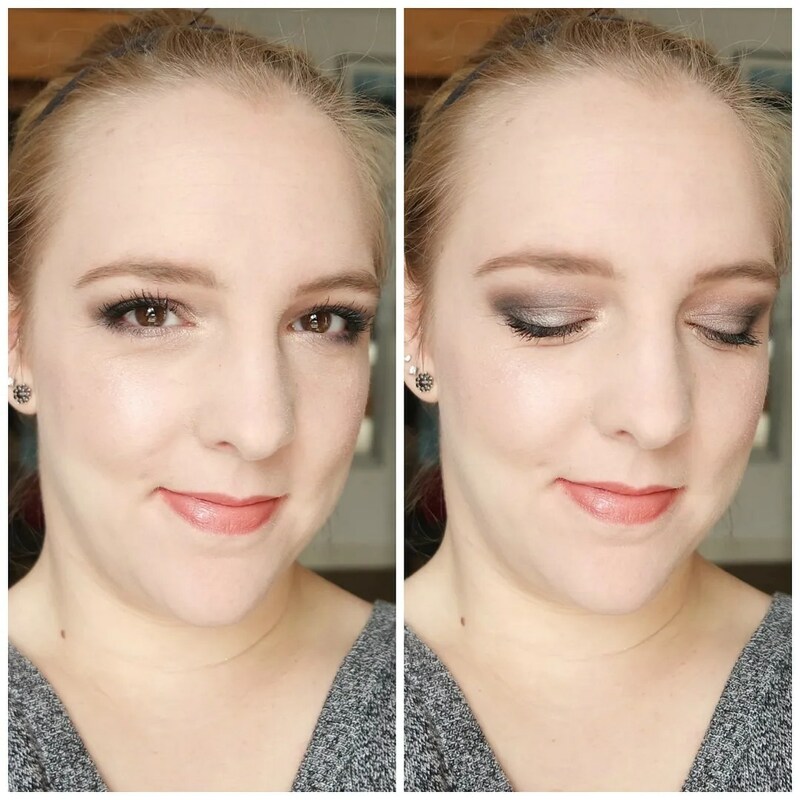 For this first look, I used mainly the shadows from the top two rows of the palette. The result is a pretty rosy look with a brown undertone. 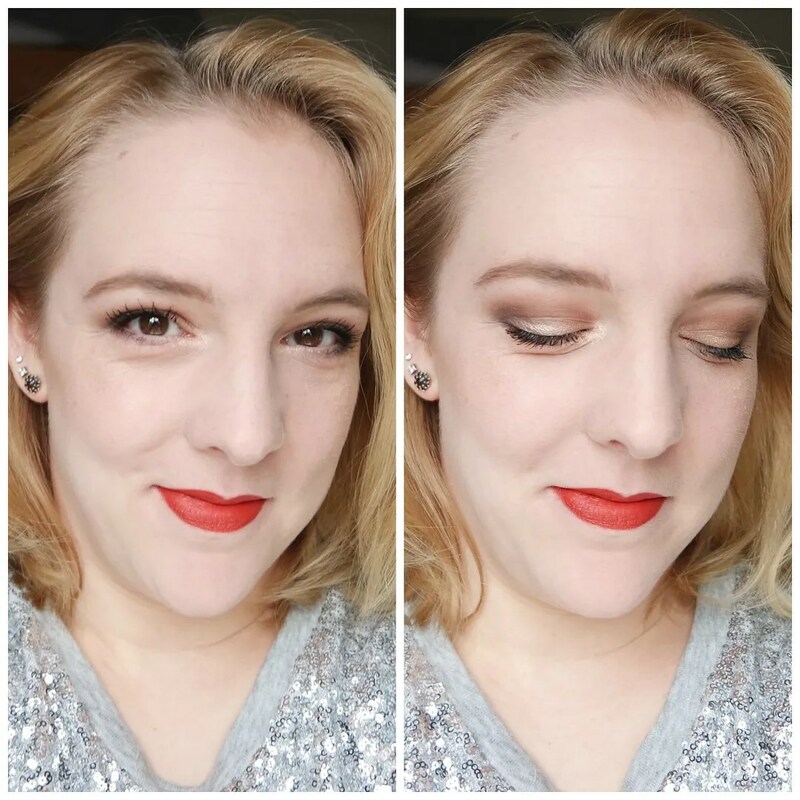 I only used pigale very subtly in my crease. You can easily make it more intense and more burgundy looking if you apply more of it. When applied with a very light hand it makes for a great soft reddish brown, that I think looks nice in the crease. This look doesn’t look like what it looked like in real life. My camera washed it out for some reason, but I managed to snap a selfie on the same day, that will show you that the crease is a fair bit warmer than the rest of this look. Same look, different camera. Like I said, Pewter is a great shade for creating a smokey look and that is what I hope to demonstrate here. 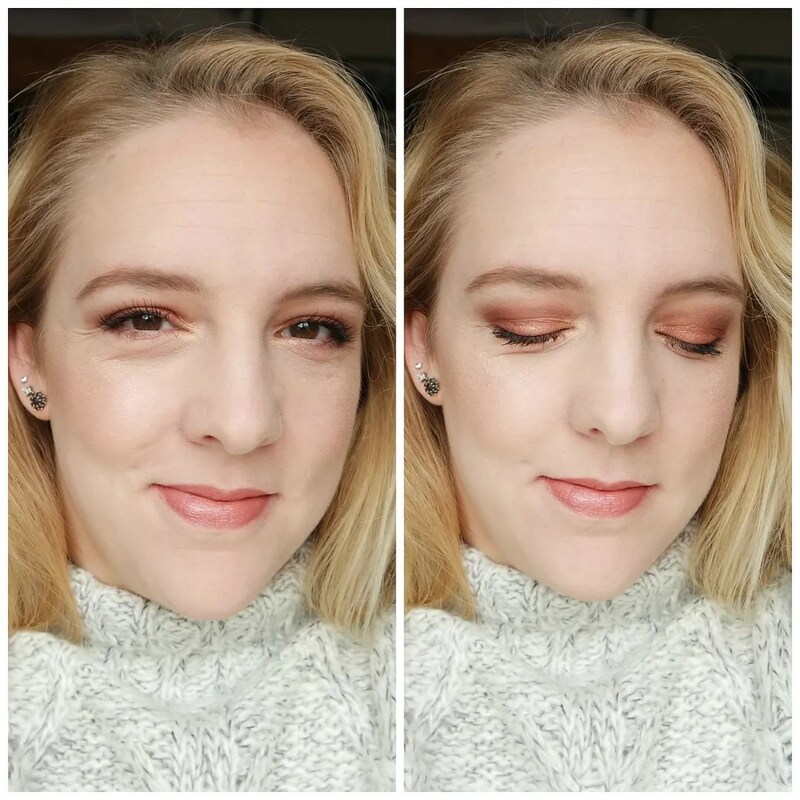 To show you that this palette is also great at creating a neutral, every day look, I decided to go for a light lid shade and a deeper crease and outer V. This is a standard look that is perfect for work or school. It adds some brightness to the face, but keeps it simple and fuss free. I love pairing looks like this with a bold lid, which is what I did here. As you might be able to tell, I cannot understand why this palette doesn’t get anymore buzz. I absolutely love this. 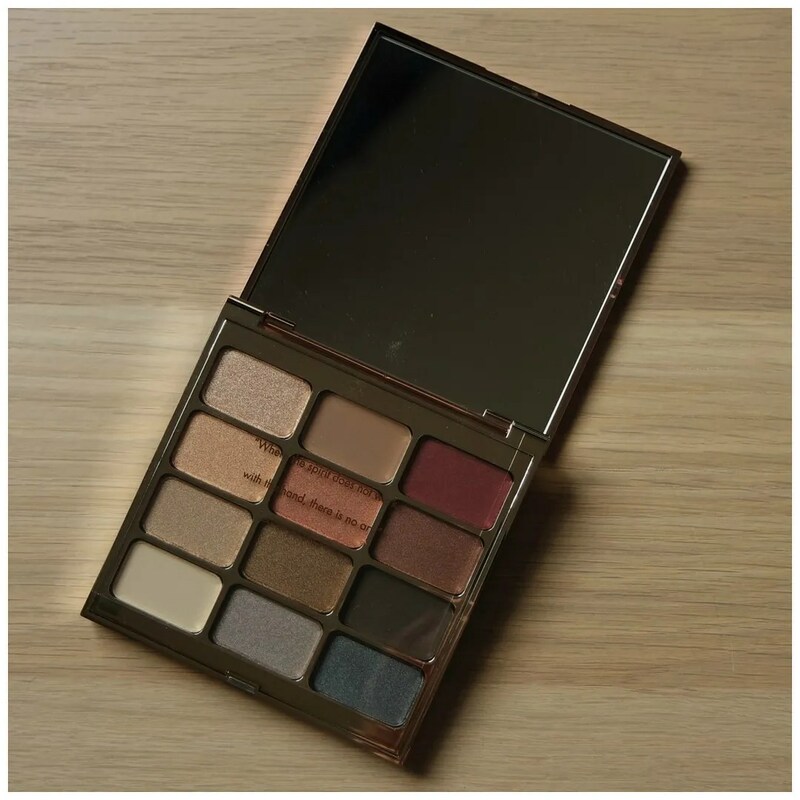 The quality of the shadows is excellent, the palette is versatile enough to take your look from day to night in an instant and moreover the packaging is stunning. To me, this palette has been well worth the money. I have created nothing but looks I love whenever I use this. 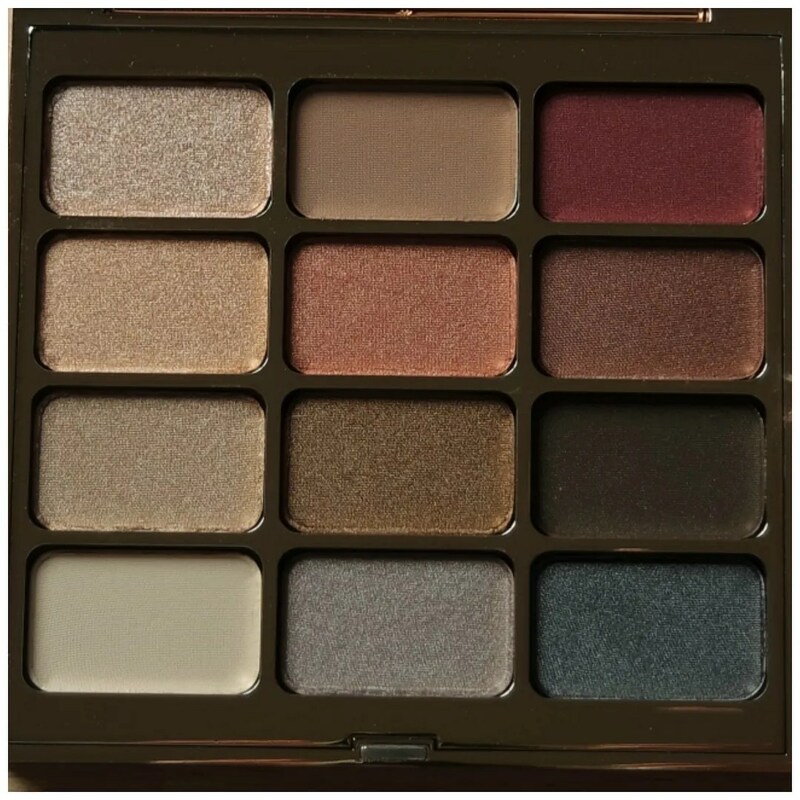 What eye shadow palette do you believe deserves more love? Thank you! I always try to include multiple looks for larger eyeshadow palettes, so glad it’s appreciated. Dank je! 🙂 en ja verpakking is het halve werk. I’m always impressed with your eye makeup because I can never seem to get mine to look like that. Seems like a pretty versatile palette. I tend to like a deep brown more than a black as well! Aw thanks! I have a tutorial coming up on Saturday so maybe there are some tips there for you? Awesome, I’ll have to check it out! Aw that’s very sweet of you 🙂 Thanks! I will have to check it when I have more time, but I had a quick peek and I saw you blog in two languages! That’s dedication.